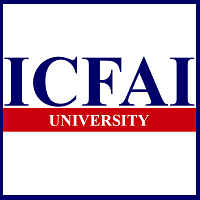 This College is accredited by NAAC A (National Assessment and Accreditation Council) validity is 09 Jul 2019 and the score is 3.02 . The pedagogy is really good. Infrastructure is not top notch but as far as academics or co-circulars are concerned,the college campus caters to everything with precision. The college composed of 400 students in total gives a family like feeling and develops individual interaction with almost everyone. The studies are not very rigorous which gives you ample to concentrate on co-circulars which shall help improve your CV. The college is at par when it comes to providing scholarships.Perform and study for free. Last and the most important point: Placements. The college faculty works real hard for placing students and as a result, the college manages to place almost every student who applies for placement. The minimum package being 5lac and maximum being 15 lac for the batch graduated in 2015. This is one of the best law colleges in the country which has been ranked 16 by India Today magazine. It is located in the posh residential area of Mohali and it is well connected with the city by bus and other means of transport. Chandigarh which is one of the most beautiful city in the country gives this college some extra edge in case of lifestyle. The college has a good infrastructure which is sufficient for the 400 people i.e. strength of the college. The college has been performing exceptionally well in all fields. The placements are touching new heights every year and for the current batch till now 14-15lac has been the highest. 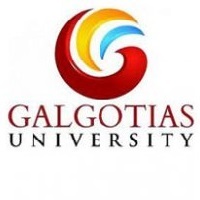 The faculty is also really helpful and experienced you will never feel like you are in college because you will have some special bond with every teacher as college is very small and everyone knows each other. Overall it has been a good experience till now in the college and does come and join the AIL family. Cheers! It has good infrastructural facilities like library, computer lab, seminar and moot court rooms. By participating in various competition like-moot court competition, debate competition, sports fests one can make college life more happening. The timing for outing needs to be extended in girls hostel. 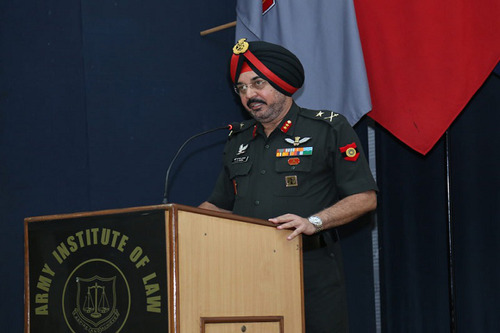 Army Institute of Law, Mohali Faculty and Academics The College currently offers B.A., LL.B. 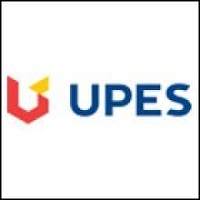 (Five years integrated programme), LL.M. (One year programme), PhD and such other programme in accordance to Punjabi Universities guideline The number of seats in B.A., LL.B. are total 80 out of which 60 seats are reserved for Army category, 16 for Punjab Category and 4 for Civilians from All India category. The faculty in the college is good and best part is student teacher ratio is 30:1. Evaluation Methodology: There are 2 mid-semester exams for 10 marks and 10 project presentations, amounting to 20% of your total marks throughout the semester. The 80% comes from an exam at the end of the Semester. But now onwards for first years pattern has been changed, marks for internal assessment has been increased from 20 to 26 which also includes 5 marks for attendance and 74 marks for final examination at the end of the semester. Committees at AIL: Moot Court Society for the promotion of moots in college. Research Society to encourage people to take part in research activities. Debating Society to help people compete for debating competitions. Sports Committees Cultural Committee Location Located in the residential area of the Mohali City, the college has 8 acres of sprawling campus in Sector 68. The hostels house 400 students and it also has accommodation for teaching and non-teaching staff members. Distance from Chandigarh Airport is 8 kilometres and from Chandigarh Railway station is nearly 11 kilometres. 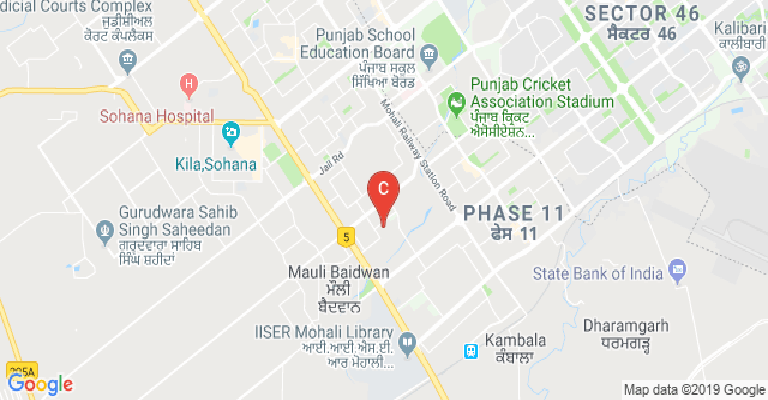 Indian School of Business, Mohali and IISER Mohali are the other neighbouring educational institutes of higher education. The District Court, Punjab and Haryana, Tribunals, are all in the radius of 11 km. Placements at AIL Placements all depends on the capability of a person till now AIL has performed exceptionally well. 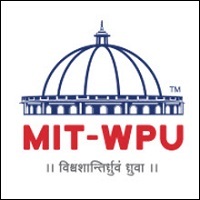 In 2011-2012 institute witnessed 100% placement record, in 2012-13 out of 40 people who sat for placements 37 were placed successfully and in 2013-14 out of 40 38 were placed successfully. Average package is 6-8 lakhs and highest for this year is 14 lacs per annum(2016-17). Administration and Fees Fee Structure for B.A. LL.B. Total (For Indian Students): Rs. 1 lac 34 thousand approx for Army Category. * Total for Civilian and Punjab: Rs.1 lac 80 thousand approx* *(figures may vary) Good things at AIL: Various competitions at National level and International level. 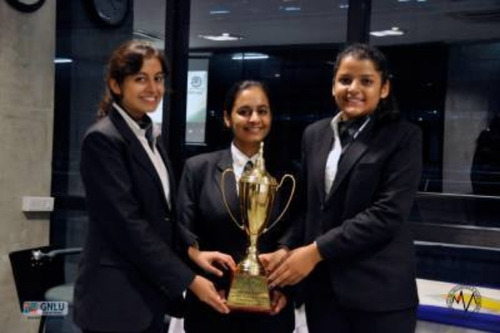 The college has till now successfully organised National Level Moots and Seminars and it is also a proud host of International Leiden Sarin Moot Court Competition. Bad things at AIL: Sometimes you may feel like college is very small. Infrastructure: Air Conditioned Multi Purpose Hall, Seminar Hall, Library, Conference Hall. 2 Basketball grounds, 2 table tennis boards, Common room for recreational activities All classrooms are equipped with projectors to make the lectures & presentation more interesting and effective. Wifi facilities 24*7 with a good speed. 24 Hour Power back up ( Well Mohali has no power cut thanks to Punjab Government) A 500 capacity modern MP Hall. Computer Lab with 50 computers giving access to a number of Online Journals. ATM Facility at the main entrance gate. SBI branch at walking distance. Other things: For eating joints, we have our cafe in the campus but for more good food you can order all night or go to nearby market which is at the walking distance having Subway, Mendos Pizza, Momos Corner etc. My father is ex service army does i have any reservation in AIL? 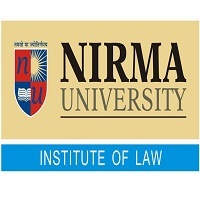 This College is accredited by NAAC (National Assessment and Accreditation Council) A validity is 09 Jul 2019 and the score is 3.02 . Boys Hostel :AIL provides hostel facilities for 180 boys in the campus. Girls Hostel :AIL provides hostel facilities for 180 girls in the campus. Medical/Hospital :All Students are expected to cater for their medical care. 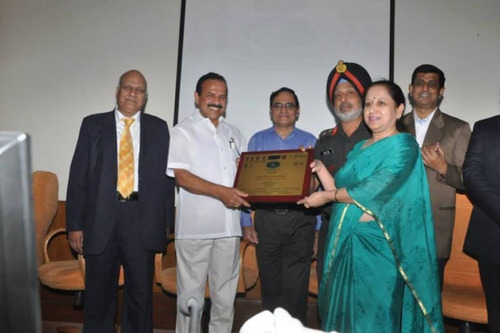 If the student is a dependent of an Army Personnel, he/she is expected to carry the 'dependent card' for obtaining treatment at the Command Hospital, Chandimandir. Those students who are not dependent on Army Personnel must carry with themselves adequate insurance cover. Gym :A fully functional gym with modern machines and equipment is open to students. Library :State of the art library with books, e-books and online legal database like SCC Online, Lexis-Nexis, Manupatra, Westlaw, etc, provides the requisite study and reference material to the students. Sports :The Institute provides indoor and outdoor sports facilities for all-round personality development of students. These include two Synthetic Basketball Courts, Volleyball Court, Badminton, and Table Tennis. More facilities for recreational sports are planned in the additional land which is available to the Institute for this purpose. I.T Infrastructure :The Institute has a well- equipped computer lab to enable students to face today's competitive world and develop an interest in computer and information technology. The whole campus is WI-FI enabled. Cafeteria :The tastefully done-up cafeteria with music facility is a hub of student activity. Auditorium :Tastefully furnished Air-conditioned Seminar hall has a seating capacity of 80 and is used for holding seminars and discussions in the campus. Transport Facility :The facility is available to students for medical emergencies and for officially organized events/ functions at the discretion of the management. Alumni Associations :Alumni Association facility is available in the campus. Guest Room/Waiting Room :Four fully- furnished guest rooms, which may be allotted to the parents of the students.